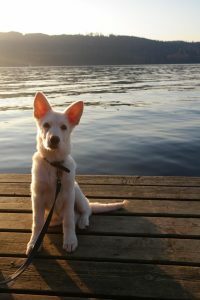 Casper is a handsome 6 month old German Shepherd, who had a hard start to life when we met him at around 8 weeks old. We originally saw Casper in September at our Walnut Tree Hospital when he was treated by us for haemorrhagic diarrhoea, causing anaemia and ascites. He was initially given fresh frozen plasma to stabilise his condition and to improve his albumin levels. Fresh Frozen Plasma transfusions are used to treat clotting problems and low protein levels in dogs and cats. Blood plasma is the liquid part of the blood where blood cells are suspended. 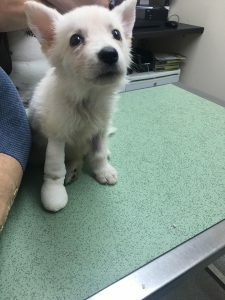 Casper initially responded well to treatment but, when his anaemia got worse, the vet decided to give him a blood transfusion using Packed Red Blood Cells. Post transfusion, Casper’s packed red cell count saw a dramatic improvement. He was bright and eating well. We saw further improvement over the following days and he was discharged from the hospital. Casper made a slow but steady recovering over the next few months. He had a few setbacks, but thanks to the hard work and dedication of his owners had now made a full recovery. We would like to thank all dog donors that donate blood on a regular basis. Without your help treating cases like Jasper’s would not be possible. Here are some recent photos of Casper, looking very handsome! 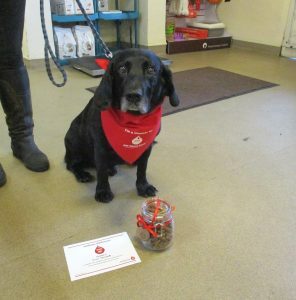 On Saturday 1st December Finn visited Milton Keynes Veterinary Group at our Stoke Road branch for our eleventh donation session, donating blood for the Pet Blood Bank for his thirteenth time! Finn is now nine years old and started donating in 2014. 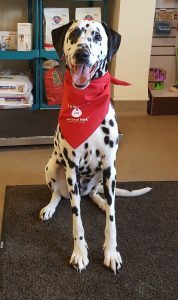 Over his thirteen visits, Finn has donated a total of approximately 5,850ml of blood to help save his canine friends from illness and injuries. On his retirement day, he was presented with a jar of yummy treats and a certificate to thank him for his hard work. Enjoy your retirement Finn! We can’t thank our Pet Blood Bank donors and their owners enough, without their help we wouldn’t be able to help Pet Blood Bank continue to do their amazing work. Could your dog be a blood donor like Finn? Just like humans, dogs have different blood types. In the UK we test for DEA 1 Negative and Positive. With only 30% of our donors being a Negative blood type, it is challenging to maintain enough stock. 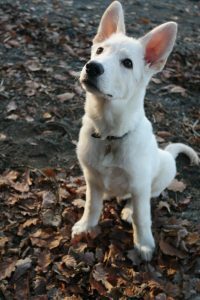 Certain breeds are more likely to be negative such as: Dobermanns, Greyhounds, Boxers, German Shepherds, Flat-Coat Retrievers, Airedale Terriers, Weimaraners, Lurchers, American Bulldogs, English Pointers and English Bull Terriers. The Heart of Pet Blood Bank award scheme celebrates those who support and promote Pet Blood Bank UK, making a real difference in the collection and supply of lifesaving blood. 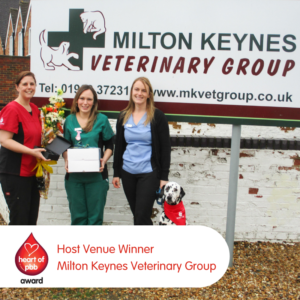 Milton Keynes Veterinary Group held their first Pet Blood Bank session in June 2016, and in December 2018 just held their 11th Pet Blood donation day. 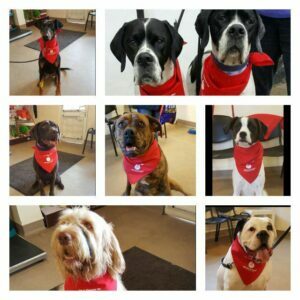 In total, they have collected approximately 138 units of blood over the last 3 years, helping to save up to 552 canine lives! Jess McCarthy, Pet Blood Bank organiser in the practice, would like to thank all the canine donors and their owners that attend our Milton Keynes Veterinary Group donation days. 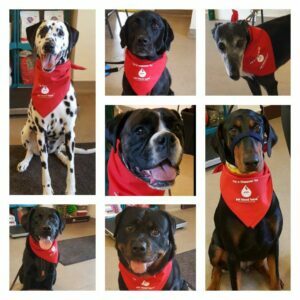 Without them, Pet Blood Bank cannot carry on doing the amazing work they do and she can’t thank them enough! Thank you to our Doggie Donors! We would like to thank all the dogs that attended our Pet Blood Bank on Saturday 4th November. Our brave canines have collected 46 units of blood during 2017 which will help to save 184 of their canine friends. What a great job they are doing and we can’t thank them enough! To find out more information about the Pet Blood Bank, please visit www.petbloodbankuk.org. Don’t forget our Pet Blood Bank Event this Saturday 4th November from 10am at our Stoke Road branch in Bletchley by appointment only. Pet Blood Bank are a charity that provide a canine blood bank service across the UK. Pet Blood Bank provides two types of blood – DEA 1 Negative and Positive. With only 30% of dog breeds being the Negative blood type, the charity are appealing for these dog breeds to donate.